There is no question that pellet stoves are one of the most efficient ways to heat your home. They use an inexpensive fuel and the emissions are often less than 1 gram per hour. They are an excellent method for heating a room or even an entire house for far less than if you use gas or electric for heat. The most common fuel for pellet stoves is wood pellets that are available in standard and premium grade. They are sold nationwide in 20 to 40 lb. bags. If you look at wood pellets they resemble rabbit food in appearance. 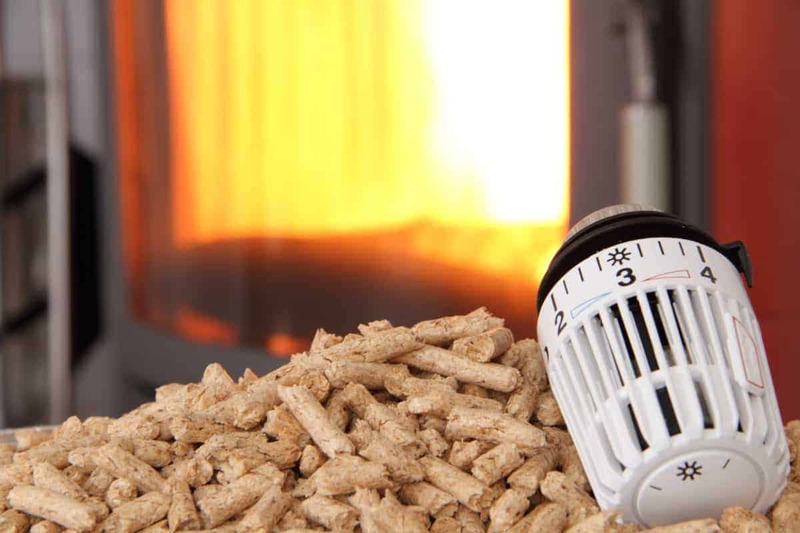 They offer an excellent source of home heating and over the past several years they have grown in popularity since heating with pellets is cheaper than using gas or electricity. There are various grades of wood pellets that are used for fuel. The highest standard of pellets and often more expensive are premium wood pellets. These are typically produced from the sawdust waste produced from timber production. They produce ash below 0.5%. Only certain materials can be used in order to produce premium wood pellets. For instance, the wood typically used is spruce, pine or oak. The wood must also contain little or no bark, as bark will increase the ash percentage of the pellets beyond the limit acceptable to call the pellets premium grade. If you think about what is left after the premium grade wood stock has been removed, what you still have is a majority of woody biomass available that often ends up in landfill sites. The wood waste from forestry management will come from various species of wood with bark included. This wood is also used to produce fuel pellets. The ash content will be slightly higher than found with premium pellets, therefore these are called standard grade fuel. Pellet stoves are very efficient and mainly this is because the fuel is uniform. There is a natural variance in the density of pellet fuel. Density may vary slightly by brand or even by the bag. You can be confident that all of our manufacturers are committed to producing a consistent, high-quality pellet. When it comes time to start up your pellet stove to warm your home, don’t forget to do some much-needed pellet stove maintenance to ensure you get the most out of your wood pellet stove. Cleaning of your exhaust as well as fans and around your auger motor will extend the life and efficiency of your pellet stove, and it will help to maximize the correct burn from your pellets.